A romantic comedy about a girl named Go Dok Mi who locks her self in her ′tower′ from the world, is caught spying on the man living next door by Enrique Geum. 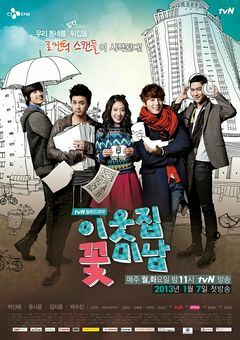 Enrique Geum is a genius creative director, who is good-looking, stylish and bohemian and can′t get enough of soccer. He will form a love line with Go Dok Mi. Go Dok Mi is a ′city Rapunzel′ who never ventures outdoors, yet has her own set of charms that makes men go weak.